Posted January 23, 2018 by Caroline Preece & filed under Headlines, News. Big Little Lies is coming back for a second go-around, but now it looks like some old, unexpected, faces are coming along. It was revealed at the end of the first series that Perry Wright, played by Alexander Skarsgard, was the much-teased murder victim all along. In the finale, we learned that Perry had been pushed down some stairs by Bonnie (Zoe Kravitz). 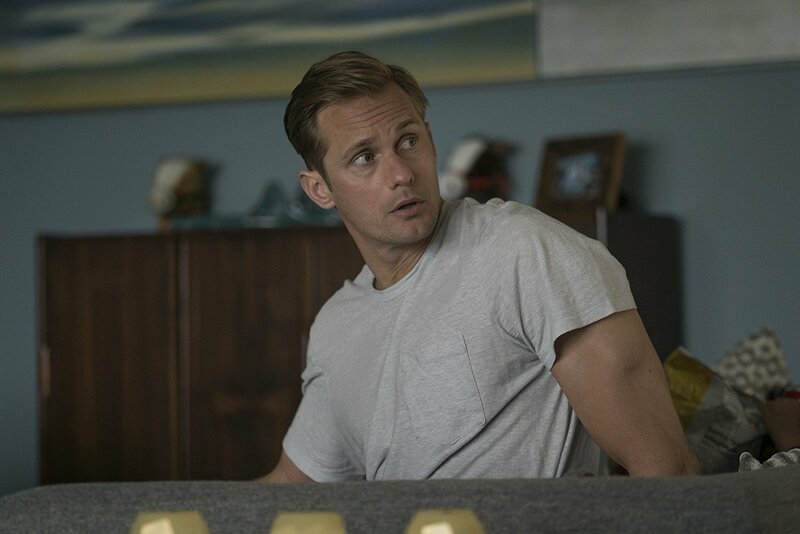 Now, however, HBO knows a good thing when it’s got it and looks set to bring Skarsgard back on board for the upcoming – unplanned – second season “in some capacity”. The tidbit comes from TVLine, who teased that that capacity will likely be flashbacks, but the actor has also hinted that Perry might not even be dead. It’s a conundrum, but then that’s what makes soapy mystery shows so addictive, right? As previously reported, Big Little Lies season 2 will consist of seven new episodes written by the returning David E. Kelley and directed by newbie Andrea Arnold, who’s stepping in for season 1 director Jean-Marc Vallee. Production will get underway in March. Let us know how you think Perry will make his return on Big Little Lies in the comments below.